Until my recent trip to Venice, I’d only ever been to Sephora once, in Florida. Sephora at The Florida Mall was like heaven on earth. Whilst in Venice, in the process of getting very lost in the winding streets I unexpectedly came across a Sephora there and excitedly dragged Colin inside. It was distinctly ‘meh’ in comparison to the American one I’d visited, mostly with brands that are available at home and at a higher or very similar price to what we pay here. I became a bit enamoured with Italian brand Collistar and their duochrome nail polishes, but all the ones I wanted were out of stock. In the end, I settled on this Sephora Pin Up Show Palette. I’d not tried any of Sephora’s own brand stuff before, but my expectations were pretty high thanks to their seemingly sterling reputation. Sadly though I’m not as in love with Pin Up Show as I expected to be when I bought it. 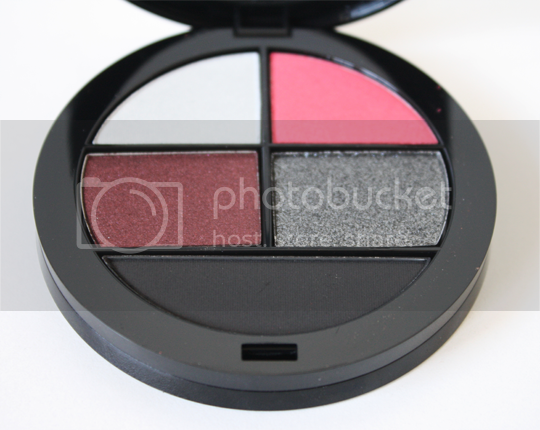 I chose this one over the other colourways because I’m pretty into red eyeshadow and I thought this was quite unusual. 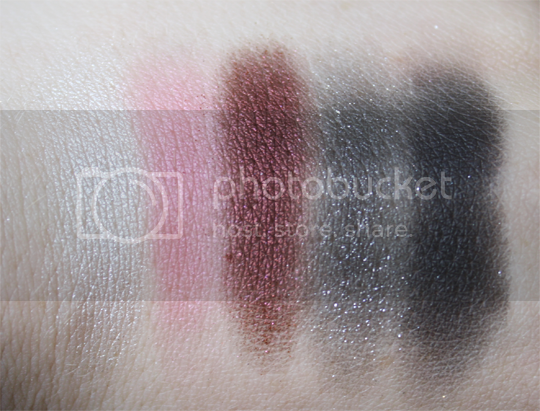 The colours swatch nicely (although the black leaves a lot to be desired) but they don’t apply so well to the eye, being a little dry and hard to blend, and losing a fair bit of colour payoff during blending too. The black shadow is actually meant to be a liner, and it’s recommended to be used wet. Because of the nature of these shadows though, wetting it will ruin the top layer of the shadow so you have to be careful to keep any wet brushes to one corner of the shadow. I’m really sad that this didn’t live up to my expectations – but I will persevere with trying to get it to work for me and I certainly haven’t been put off trying more of Sephora’s own-brand products in the future because there’s a lot to choose from, although I may avoid the eyeshadows or at least give them a good swatch before buying. I want to go back to America, their Sephora stores are much more exciting! Annoyingly I can’t remember exactly how much I paid for this, I think it was somewhere in the region of 14 euros or so. Have you tried or heard good things about any of Sephora’s own products? I haven’t really tried their home products yet.. Such a pity it’s not good quality! The colours do like gorgeous though, especially that gorgeous middle color!